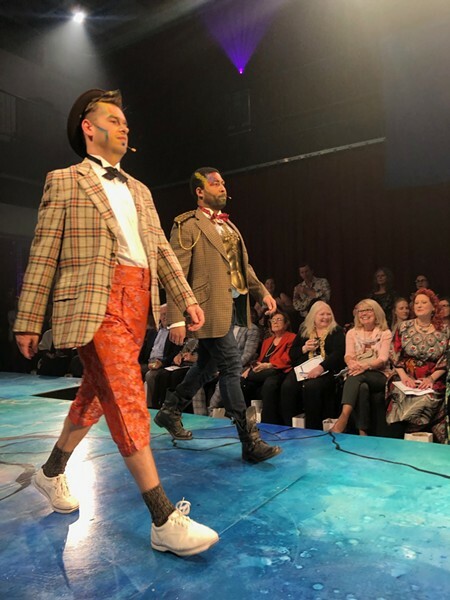 The Bohemian Nights fashion show almost felt like a secret. Located in the Pittsburgh Opera Headquarters, there were only a few sparse indicators of where the show would be held. I walked through an empty parking garage and saw a cheery woman dressed all in black, who opened a door into a dark, modern room with chic electronic music playing in the background. 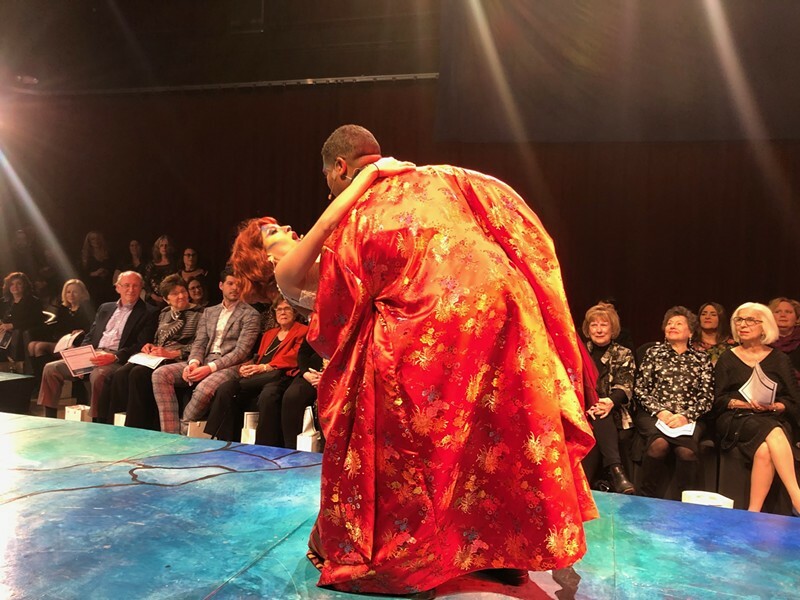 On March 30, the Pittsburgh Opera opens its production of La Bohème. Written by Giacomo Puccini in 1895, the opera follows four impoverished artists living in Paris in the 1830s. 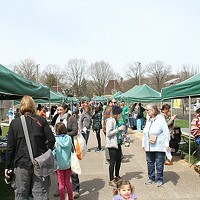 It was during this time in the early 19th century that the word "bohemian" became associated with artistic people living unconventional lifestyles. 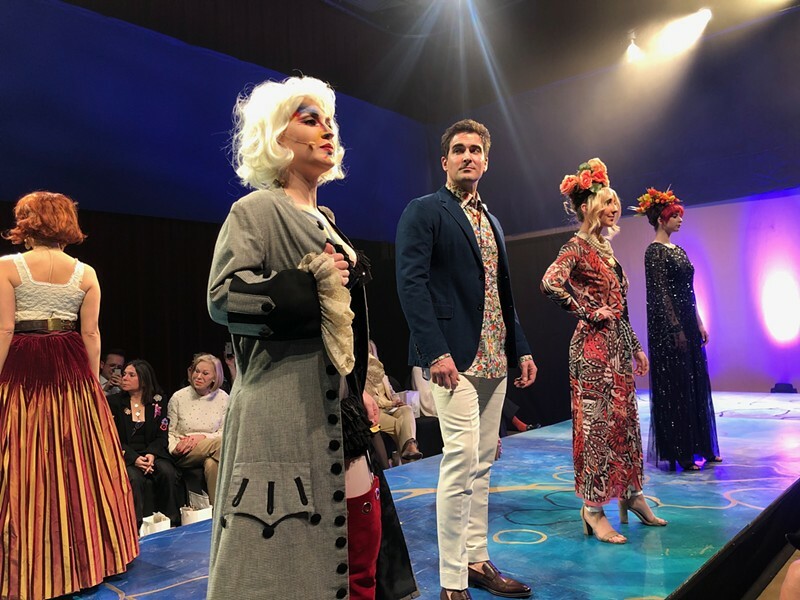 To tease the opening of La Bohème, on March 18, the Pittsburgh Opera held a bohemian-themed fashion show. The bohemian concept was spot on. The color scheme didn't stray from a neutral color palette - blues, grays, browns - the brightest color being a muted orange. Flowers appeared to be a running motif, featured in the models' hair and in the clothes' patterns. 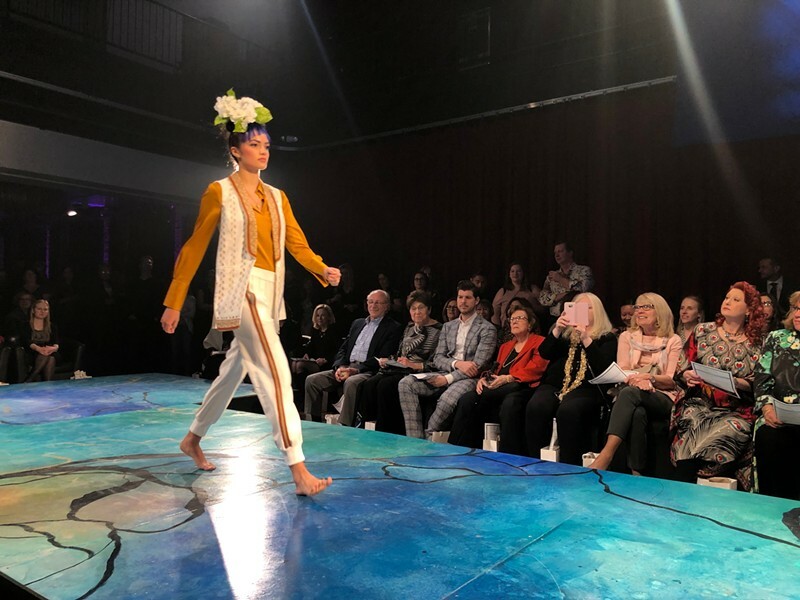 But where the bohemian theme really came through was in the footwear, or lack thereof: Every now and then a barefooted model strutted now the runway. While the entirety of the event was about two and a half hours long - preshow cocktails and hors d’oeuvres by Hungry for Time and post-show mingling with dessert, also from Hungry for Time - the fashion show only ran for 30 minutes. Short and sweet with no intermission, the show kept the audience captivated without dragging things out. 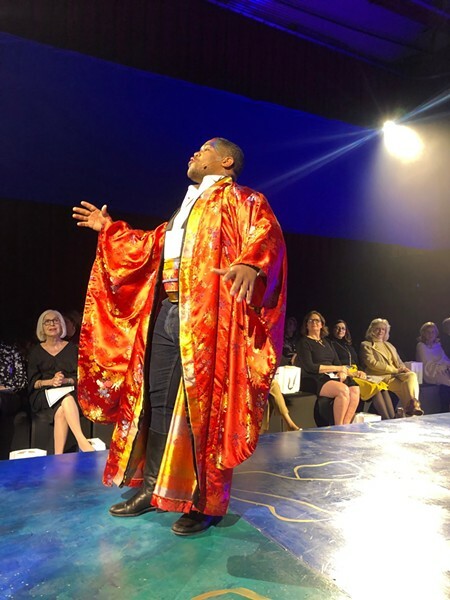 At two points during the show, the Pittsburgh Opera resident artists who will be in La Bohème joined the expressionless models on the runway to sing at the top of their lungs. 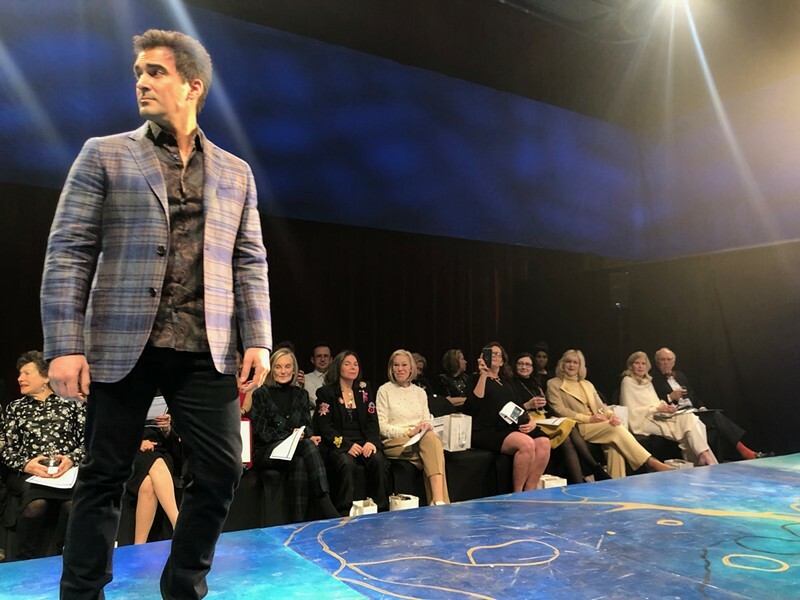 While the point was to tease the show, the switch between swift, fierce looking models and opera singers commanding the stage was a little jarring. 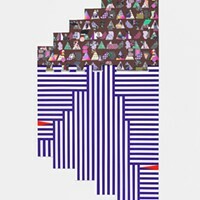 Especially considering the blunt switch in music from downtempo, mod electronic music to soul-shaking opera tunes. 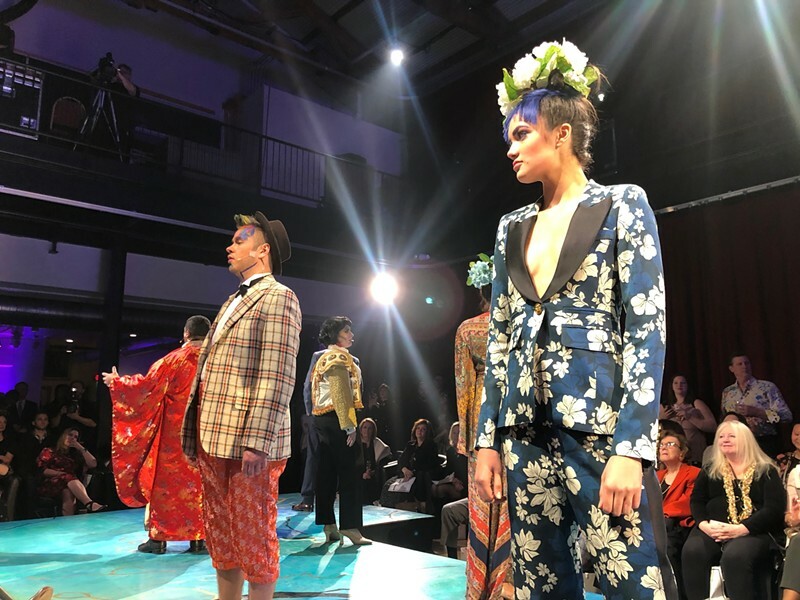 But overall, the evening was a success in channelling the back-alley vibes of an underground fashion show, all while spreading the word on an opera more than a hundred years old.